Our next book will be out in September, and we have a cover to show you! 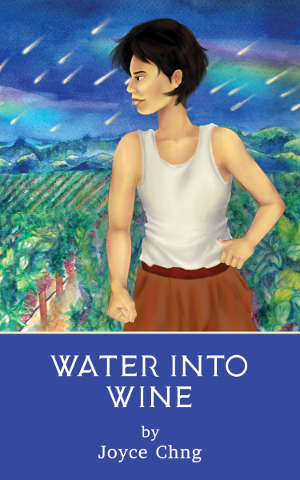 Water into Wine, by Joyce Chng, is a space opera set on a distant planet. Xin inherits a vineyard there, and moves to build a new life. But an interstellar war intervenes, putting everything at risk… and Xin’s understanding of family and sense of self must evolve in the face of this challenge. The cover art is by Dhiyanah Hassan. Water into Wine will be out September 27, 2017. It will be available for pre-order August 30.